Over the years, Tina Hoskins loved to trade recipes and was often seen barbecuing in her backyard. She was a kind, welcoming woman and a great cook who would often bring over food, such as her potato salad, neighbor Renae Jackson said. In return, Jackson’s husband would cut her grass or clear snow off her driveway. 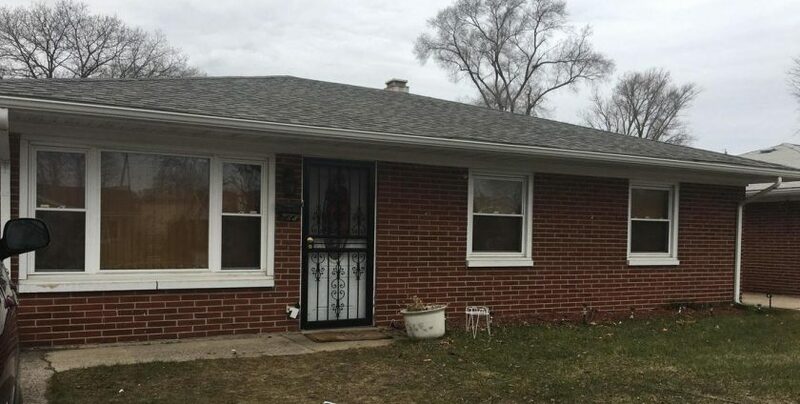 Hoskins, 72, was found unresponsive about 4:30 p.m. Wednesday in her home in the 700 block of King Street, Gary Fire Department spokesman Mark Jones said. A 5-year-old girl also was found in the home. Both were transported to Methodist Hospitals Northlake in Gary where Hoskins was pronounced dead within an hour, according to the Lake County coroner’s office. The death was still under investigation, although Jones said Thursday that carbon monoxide poisoning was suspected. Firefighters found the stove still hot to the touch and measured the highest carbon monoxide levels in the kitchen, Jones said. A Methodist Hospital spokeswoman said the child was transported to Comer Children’s Hospital in Chicago. Her condition is not currently known. The cause of Hoskins’ death is pending, the coroner’s office said. Jackson said the child was a relative of the victim. The child is a “sweet little girl, so full of life — your typical 5-year-old, just bouncing off the walls,” Jackson said. On Thursday morning, a red holiday ribbon still hung on the home’s front door. Christmas lights were heavily taped around the front window. Jackson said Hoskins’ death left “a black hole” for those who knew her and extended condolences to her family. “Christmas is going to be really devastating for them from now on,” she said. Carbon monoxide is odorless and colorless. The U.S. Centers for Disease Control and Prevention said about 430 people die from carbon monoxide poisoning each year and 50,000 are forced to seek medical care. Sources include generators, stoves, gas ranges, lanterns or burning wood or charcoal. Symptoms include dizziness, headaches, weakness, nausea, vomiting, confusion or chest pains. In this case, a “detector may have saved a life,” Jones said. While there are hundreds of deaths a year from carbon monoxide poisoning, that’s only a fraction of the people who are harmed by the gas, said Dot Kesling, the founder of the Lindsey O’Brien Kesling Wishing Tree Foundation. The foundation, based in Michigan City, is named for Kesling’s daughter, who died when she was 22 of accidental carbon monoxide poisoning. Part of the foundation’s mission is education, awareness and advocacy about the dangers of carbon monoxide. CO poisoning is preventable, she said, and the only prevention is carbon monoxide alarms, which are particularly important because 94 percent of CO poisonings occur in residential properties. Some municipalities, including Porter County, have passed ordinances requiring CO detectors in new construction.